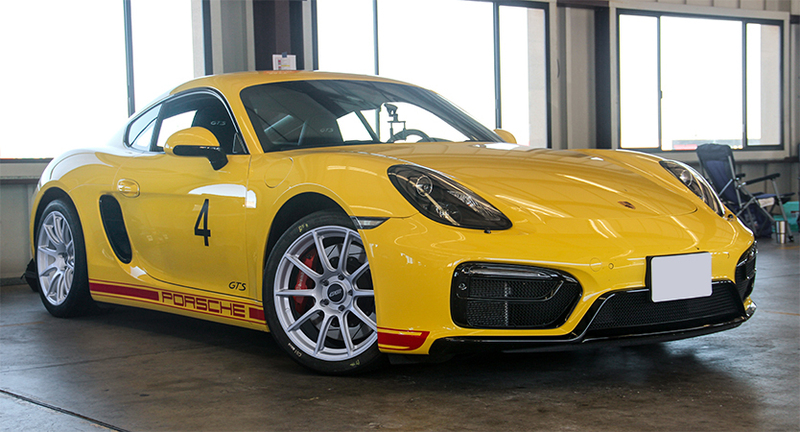 2012-2016 Porsche Cayman, Cayman S, Cayman GTS, Boxster, Boxster S. Fitment is identical between all models - GT4 excluded. The 981 was the largest comprehensive change to Porsche’s mid-engine layout. The refinement of Porsche’s mid-engine layout was a success by building upon an already phenomenal chassis. Lighter, longer wheelbase, and the same track width. Identical to the 987, the 981 can support lower offset rear wheels due to its strut rear suspension, so their wheel specifications are unique amongst the Porsche chassis. 245/40-18 and 275/40-18 tires may also be used as a direct fit. This fitment is a small step up from stock wheels and tires, but offers a noticeable improvement in the performance and aesthetic department. It is ideal for the driver who wants to upgrade to a no-nonsense direct bolt-on fitment, with no modifications required. Wider, lighter, and a smaller diameter than the OEM specifications, these wheels fill out the wheel arches appropriately and decrease rotational mass. 245/40-18 and 275/40-18 tires may also be used but will require at least 1.5 degrees of front negative camber. 255/40-18 and 285/40-18 tires may also be used but will require at least 1.8 degrees of front negative camber. This staggered fitment is very similar to the one above, however the front wheels have a more aggressive offset which ultimately place them 8mm closer front fenders. This fitment is ideal for enthusiasts looking for a flush fitment with street tires, or for performance driving enthusiasts who have the ability to dial in negative camber with wider track compounds. It is a great blend of form and function. 255/40-18 and 275/40-18 tires may also be used but will require at least 2.5 degrees of front negative camber. These fitments are effective for both weekend and dedicated track warriors. This no-compromise fitment is ideal for track use where enthusiasts want to maximize front end grip by minimizing the stagger between front and rear. The 9” front wheel will provide superior sidewall support for wider tires, and it relies on aggressive negative camber specifications for proper front fender clearance. Mild modifications are likely necessary since you'll be using all available real estate under the fender arches to accommodate this wider configuration.